Mr. Lewis is known in society as the son of the Right Hon. T. Frankland Lewis, and in literature, as the translator, Jointly with Mr. Henry Tufnell, of two erudite and interesting works are classical antiquity, Midler's Dorians, and Bockh's Public Economy of Athens. Mr. Lewis is also the author of a little work on logic; to which subject, stimulated like many others of the Oxford youth, by the precepts and example of Dr. Whately, he has devoted more than common attention, and was so far peculiarly qualified for writing sack a work as the volume before us professes to be. This alone should entitle him to no slight praise ; for such is the present state of the human mind, in some important departments, that it is often highly meritorious to have written a book, in itself of no extraordinary merit, if the work afford proof that any one of the requisites for writing a good book on the same subject is possessed in an eminent degree. Certain it is, that there scarcely ever was a period when logic was so little studied, systematically, and in a scientific manner, as of late years; while, perhaps, no generation ever had less to plead in extenuation of neglecting it. For if, in order to reason well, it were only necessary to be destitute, of every spark of fancy and poetic imagination, the world of letters and thought might boast, just now, of containing few besides good reasoners; people to whom, one would imagine, that logic must be all in all, if we did not, to our astonishment, find that they despise it. But the most prosaic matter-of-fact person in the world must not flatter himself that he is able to reason because he is fit for nothing else. Reasoning, like all other mental excellencies, comes by appropriate culture; not by exterminating1 the opposite good quality, the other half of a perfect character. Perhaps the mere reasoners, with whom the world abounds, would be considerably less numerous, if men really took the pains to learn to reason. It is a sign of a weak judgment, as of a weak virtue, to take to flight at the approach of every thing which Gen, by any remote possibility, lead it astray. Men who, for want of cultivation, have the intellects of dwarfs, are of course the slaves of their imagination, if they have any, as they are the slaves of their sensations, if they have not; and it is partly, perhaps, because the systematic culture of the thinking faculty is in little repute, that imagination also is in such bad odour; there being no solidity and vigour of intellect to resist it where it tends to mislead. The sublimest of English, poets imposed an elementary book of logic for the schools; but our puny rhymsters think logic, forsooth, too dry for them,+ and our logicians, from that and other causes, very commonly say with M. Casimir Perier, A quoi un poete est-il bon? In undertaking to treat of the use and abuse of the leading terms of political philosophy, Mr. Lewis has set before himself a task to which no one but a logician could be competent, and one of the most important to which logic could be applied. If, however, we were disposed for minute criticism, we might find some scope for it in the very title-page. We might ask, what is meant by an abuse of terms; and whether a nan m not at liberty to employ terms in any way which enables him to deliver himself of his own ideas the most intelligibly; to bring home to the minds of others, in the greatest completeness, the impression which exists in his own? This question, though it has a considerable bearing upon many parts of Mr. Lewis's book, throws, how ever, no doubt upon the importance of the object he aims at. His end is, to prevent things essentially different, from being confounded, because they happen to be called by the same name. It is past doubt that this, like all other modes of false and slovenly thinking, might be copiously exemplified from the field of politics; and Mr. Lewis has not been unhappy m his choke of examples. The instances, in which the confusion of language is the consequence, and not the cause, of the erroneous train of thought (which we believe to be generally the more common ease,) are equally worthy of Mr. Lewis's attention, and will, no doubt, in time receive an equal share of it. "1. Government. 2. Constitution—Constitutional. 3. Right—Duty—Wrong;— Rightful—Wrongful—Justice. 4. Law—Lawful-Unlawful. 6. Sovereign Sovereignty—Division of Forms of Government. 6. Monarchy—Royalty-King 7. Commonwealth—Republic—Republican. 8. Aristocracy—Oligarchy—Nobility. 9. Democracy. 10. Mixed Government—Balance of Powers. 11. People—Community. 12. Representation—Representative—Representative Government. 13. Rich Middle Class-Peer, 14. Nature-Natural-Unnatural-State of Nature. 15. liberty—Freedom—Free, 16. Free Government—Arbitrary Government-Tyranny—Despotism—Anarchy. 17. Power—Authority—Force. 18. Public-Private—Political—Civil—Municipal. 19. Property—Possession—Estate—Estates of Parliament. 20. Community of Goods." Yet, highly as we think of this work, and still more highly of the author's capabilities, we will not pretend that he has realized all our conceptions of what such a work ought to be. We do not think he is fully conscious of what his subject requires of him. The most that he ever seems to accomplish, is to make out that something is wrong, hut not how that which is wrong may be made right. He may say, that this is all he aimed at; and so, indeed, it is. But it may always be questioned, whether one has indeed cut down to the very root of an error, who leaves no truth planted in its stead. Mr Lewis, at least, continually leaves the mind under the unsatisfactory impression, that the matter has not been probed to the bottom, and that underneath almost every thing which he sees, there lies something deeper which he does not see. If in this we should be deemed hypercritical, we would say in our defence, that we should never think of ranging Mr. Lewis in the class of those, from whom we take thankfully and without asking questions, any trifling matter, which is all they have to bestow. The author of such a work as the present, is entitled to be tried by the same standard as the highest order of intellect; to be compared not with the small productions of small minds, but with ideal perfection. Mankind have many ideas, and but few words. This truth should never be absent from the mind of one who takes upon him to decide if another man's language is philosophical or the reverse. Two consequences follow from it; one, that a certain laxity in the use of language must be borne with, if a writer makes himself understood; the other, that, to understand a writer who is obliged to use the same words as a vehicle for different ideas, requires a vigorous effort of co-operation on the part of the reader. 'These unavoidable ambiguities render it easier, we admit, for confusion of ideas to pass undetected: but they also render it more difficult for any man's ideas to be so expressed that they shall not appear confused; particularly when viewed with that habitual contempt with which men of clear ideas generally regard those, any of whose ideas are not clear, and with that disposition which contempt, like every other passion, commonly carries with it, to presume the existence of its object. It should be recollected, too, that many a man has a mind teeming with important thoughts, who is quite incapable of putting them into words which shall not be liable to any metaphysical objection; that when this is the case, the logical incoherence or incongruity of the expression, is commonly the very first thing which strikes the mind, and that which there is least merit in perceiving. The man of superior intellect, in that case, is not he who can only see that the proposition precisely as stated, is not true; but he who, not overlooking the incorrectness at the surface, does, nevertheless, discern that there is truth at the bottom. The logical defect, on the other hand, is the only thing which strikes the eye of the mere logician. The proper office, we should have conceived, of a clear thinker, would be to make other men's thoughts clear for them, if they, cannot do it for themselves, and to give words to the man of genius, fitted, to express his ideas with philosophic accuracy, Socrates, in the beautiful dialogue called the Phaedrus, describes; his own vocation as that of a mental midwife, not so Mr. A., or B., who, perhaps, owes the advantage of clear ideas to the fact of his having no ideas which it is at all difficult to make clear. The use of logic, would seem, to such a person, is not to help others, but to privilege himself against being required to listen to them. He will not think it worth his while to examine what a man has to say, unless it is put to him in such a manner that it shall cost, him no trouble at all to make it out. If you come to him needing help, you may learn from him that you are a fool; but you certainly will not be made wise. It would be grossly unjust to Mr. Lewis to accuse him of any thing approaching to this ; but we could have wished that his work could have been more decidedly cited as an example of the opposite quality. We desiderate in it somewhat more of what becomes all men, but, most of all, a young man, to whom the struggles of life are only in their commencement, and whose spirit cannot yet have been wounded, or his temper embittered by hostile collision with the world, but which, in young men more especially, is apt to be wanting—a slowness to condemn, A man must now learn, by experience, what once came almost by nature to those who had any faculty of seeing; to look upon all things with a benevolent, but upon great men and their works with a reverential spirit; rather to seek in them for what he may learn from them, than for opportunities of shewing what they might have learned from him; to give such men the benefit of every possibility of their-having spoken with a rational meaning; not easily or hastily to persuade himself that men like Plato, and Locke, and Rousseau, and Bentham, gave themselves a world of trouble in running after something which they thought was a reality, but which he Mr. A. B. can clearly see to be an unsubstantial phantom; to exhaust every other hypothesis, before supposing himself wiser than they; and even then to examine, with good will and without prejudice, if their error do not contain some germ of truth; and if any conclusion, such, as a philosopher can adopt, may even yet be built upon the foundation on which they, it may be, have reared nothing but an edifice of sand. Such men are not refuted because they are convicted of using words occasionally with no very definite meaning, or even of founding an, argument upon an ambiguity. The substance of correct reasoning map. still be there, although there be a deficiency in the forms. A vague term, which they may never have given themselves the trouble to define, may yet, on each particular occasion, have excited in their minds precisely the ideas it should excite. The leading word in an argument may be ambiguous; but between its two meanings there is often a secret link of connexion, unobserved by the critic but felt by the author, though perhaps he may not have given himself a strictly logical account of it; and the conclusion may turn not upon what is different in the two meanings, but upon what they have in common, or at least analogous. Until logicians know these things, and act as if they knew them, they must not expect that a logician and a captious man will cease to be, in common apprehension, nearly synonymous. How, in fact, can it he otherwise In the mind of a person, who knows not very clearly what logic is, but who finds that he can in no way give utterance to his conviction without infringing logical rules, while he is conscious all the time that the reel grounds of the conviction here not been touched in the slightest degree? It is only in a very qualified sense that these admonitions can he applied to Mr. Lewis; but there are so few persons of our time to whom they do not apply more or less, (and perhaps there here been hut row at any time,) that we are not surprised to find them even in his case far from superfluous. It remains for us to establish this by particular instances. Mr. Lewis, under the word right, gives a definition of legal rights, and then lays it down that all rights are the creatures of law, that is, of the will of the sovereign; that the sovereign himself has no rights, nor can any one have rights as against the sovereign; because, being sovereign, he is by that supposition exempt from legal obligation, or legal responsibility. So far, so good. Mr. Lewis then says, that to call any thing a right which cannot be enforced by law, is an abuse of language. We answer,—Not until mankind have consented to be bound by Mr. Lewis's definition. For example, when Dr, Johnson says that a man has not a moral right to think as he pleases, "because he ought to inform himself, and think justly, "Mr. Lewis says he must mean legal right; and adds other observations, proving that he has not even caught a glimpse of Johnson's drift. Again, according to him, whoever asserts that no man can have a right to do that which is wrong, founds an argument upon a mere ambiguity, confounding a right with the adjective right: and this ambiguity is "mischievous, because it serves as an inducement to error, and confounds things as well as words." Now, we contend that Mr. Lewis is here censuring what he does most thoroughly understand, and that the use of the word right, in both throe cases, is as good logic and as good English as his own. Right is the correlative of duty, or obligation; and (with some limitations) is co-extensive with those terms. Whatever any man is under an obligation to give you, or to do for you, to that you have a right. There are legal obligations, and there are consequently legal rights. There are also moral obligations; and no one, that we know of considers this phrase an abuse of language, or proposes that it should be dispensed with. It-seems, therefore, but an adherence to the established usage of our language, to speak of moral rights; which stand in the same relation to moral obligations as legal rights do to legal obligations. All that is necessary is to settle distinctly with ourselves, and make it intelligible to those whom we are addressing, which kind of rights it is that we mean; If we fail in which, we become justly liable to Mr. Lewis's censure. It has not totally escaped Mr. Lewis that there may be some meaning in the phrase, moral rights; but he has, by no means, correctly hit that meaning. He expounds it thus,—"claims recommended by views of justice or public policy;" the sort of claim a man may be said to ham to anything which you think it desirable that he should possess. Not such thing. No man in his sound senses considers himself to be wronged every time he does not get what he desires; every man distinguishes between what he thinks another man morally bound to do, and what he merely would like to see him do; between what is morally criminal, a fit subject for complaint or reproach, and what excites only regress and a wish that the act had been abstained from. No system of moral philosophy or metaphysics that we ever heard of, denies this distinction; though several have undertaken to account for it, and to place it upon the right footing. If you may say that it is the moral duty of subjects to obey their government, you may also express this by saying that government has a moral right to their obedience. If you may say that it is the moral duty of sovereigns to govern well, or else to abdicate, you may say that subjects have a right to be well governed. If you may say, that is is morally culpable in a government to attempt to retain its authority, contrary to the inclinations of its subjects; you may say, that the people have a right to change their government. All this, without any logical' inaccuracy, or "abuse of language." We are not defending this phraseology as the best that can be employed; the language of right and the language of duty, are logically equivalent, and the latter has, in many respects, the advantage. We are only contending, that, whoever uses tho word right shall not be adjudged guilty of nonsense, until it has been tried whether this mode of interpreting his meaning will make it sense. And this we complain that Mr. Lewis has not done. To explain what we meant by saying that almost everything which Mr. Lewis sees has something lying under it which he does not see, we have now to show, that, in catching at an imaginary ambiguity near the surface, he has missed the deeper and less obvious ambiguities by which men are really misled. Two of these we shall briefly set forth. Speaking morally, you are said to have a right to do a thing, if all persons are morally bound not to hinder you from doing it. But, in another sense, to have a right to do a thing, is the opposite of having no right to do it,—viz. of being under a moral obligation to forbear from doing it. In this sense, to say that you have a right to do a thing, means that you may do it without any breach of duty on your part; that other persons not only ought not to hinder you, but have no cause to think the worse of you for doing it. This is a perfectly distinct proposition from the preceding. The right which you have by virtue of a duty incumbent upon other persons, is obviously quite a different thing from a right consisting in the absence of any duty incumbent upon yourself. Yet the two things are perpetually confounded. Thus a man will say he has a right to publish his opinions; which may be true in this sense, that it would be a breach of duty in any other person to interfere and prevent the publication:—but he assumes thereupon, that in publishing his opinions, he himself violates no duty; which may either be true or false, depending, as it does, upon his having taken due pains to satisfy himself, first, that the opinions are true, and next, that their publication in this manner, and at this particular juncture, will probably be beneficial to the interests of truth, on the whole. In this sense of the word, a man has no right to do that which is wrong, though it may often happen that nobody has a right to prevent him from doing it. The second ambiguity is that of confounding a right, of any kind, with a right to enforce that right by resisting or punishing a violation of it. Men will say, for example, that they have a right to a good government; which in undeniably true, it-being the moral duty of their governors to govern them well. But in granting this, you are supposed to have admitted their right or liberty to turn out their governors, and perhaps to punish them, for having failed in the performance of this duty; which far from being the same thing, is by no means universally true, but depends upon an immense number of varying circumstances, and is,-perhaps, altogether the knottiest question in practical ethics. This example involves both the ambiguities which we have mentioned. We have dealt longer on this one topic than the reader perhaps will approve. We shall pass more slightly over the remainder. Our author treats with unqualified contempt all that has been written by Locke and others, concerning a state of nature and the social compact. In this we cannot altogether agree with him. 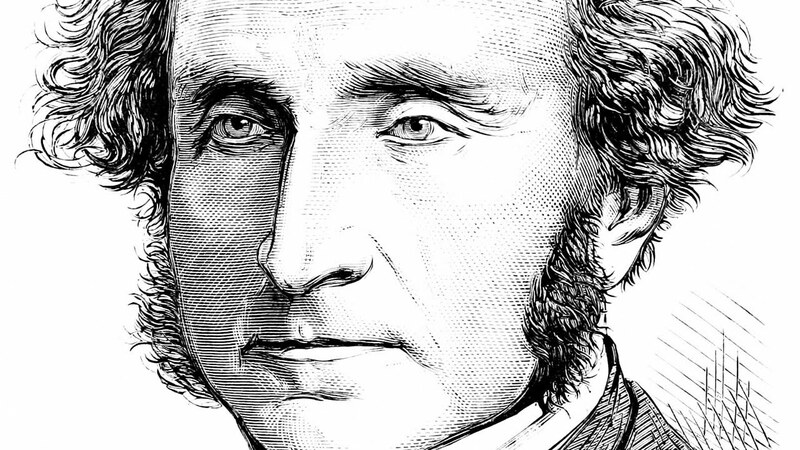 The state of society contemplated by Rousseau, in which mankind lived together without government, may never have existed, and it is of no consequence whether it did so or not. The question is not whether it ever, existed, but whether there is any advantage in supposing it hypothetically; as we assume in argument all kinds of cases which never occur, in order to illustrate those which do. All discussions respecting a state of nature are inquiries what morality would be if there were no law. This is the real scope of Locke's Essay on Government, rightly understood: whatever is objectionable in the details did not arise from the nature of the inquiry, but from a certain wavering and obscurity in his notion of the grounds of morality itself. Nor is this mode of viewing the subject, we conceive, without its advantages, in an enlarged view, either of morality or law. Not to mention that, as is observed by Locke himself, all independent governments, in relation to one another, are actually in a state of nature, subject to moral duties but obeying no common superior; so that the speculations which Mr. Lewis despises, tend, in international morality at least, to a direct practical application. Even the social compact, (though a pure fiction, upon which no valid argument can consequently be founded,) and the doctrine connected with it, of the inalienable and imprescriptible rights of man, had this good in them, that they were suggested by a sense, that the power of the sovereign, although, of course, incapable of any legal limitation, has a moral limit, since a government ought not to take from any of its subjects more than it gives. Whatever obligation any man would lie under in a state of nature, not to inflict evil upon another for the sake of good to himself, that same obligation lies upon society towards every one of its members. If he injure or molest any of his fellow-citizens, the consequences of whatever they may be obliged to do in self-defence, must fall upon himself; but otherwise, the government fails of its duty, if on any plea of doing good to the community in the aggregate, it reduces him to such a state, that he is on the whole a loser by living in a state of government, and would have been better off if it did not exist. This is the truth which was dimly shadowed forth, in howsoever rude and unskilful a manner, in the theories of the social compact and of the rights of man. It was felt, that a man's voluntary consent to live under a government, was the surest proof he could give of his feeling it to be beneficial to him; and so great was the importance attached to this sort of assurance, that where an express consent was out of the question, some circumstance was fixed upon, from which, by stretching a few points, a consent might be presumed. But the test is real, where, as in imperfectly settled countries, the forest is open to the man who is not contented with his lot. Notwithstanding the length to which our remarks have extended, we cannot overlook one or two passages, less remarkable for their importance, than as proofs of the haste with which Mr. Lewis must have examined the authors and even the passages he has criticised. Thus, where Mr. Bentham recommends natural procedure in the administration of justice, in opposition to technical Mr. Lewis observes, that as it is impossible to suppose that any mode of judicial procedure should be left to the discretion of the judge guided by no rules, the word natural, 'in this case', "seems to be a vague term of praise, signifying that system which, to the writer, seems most expedient." It shows but little knowledge of Mr. Bentham's habits of mind, to account in this way, of all others, for any phraseology he may think proper to adopt. The fact is, as has been explained a hundred times by Mr. Bentham himself/—that by natural procedure, he means what he also calls domestic procedure; viz. the simple and direct mode of getting at the truth which suggests itself naturally,—that is, readily and invariably, to all men who are inquiring in good earnest into any matter which; -happening to concern themselves, they are really desirous to ascertain. That the technical methods of our own, and all other systems of law, are bad in proportion as they deviate from this, is what Mr. Bentham affirms, and, we will add, proves. Again, when Mr. Mill speaks of the corruptive operation of what are called the advantages of fortune, Mr. Lewis comments upon the strange, ties of this sentiment from the writer of a treatise on Political Economy; that is, on the production and accumulation of wealth; and hints, that the work in question must have been composed with an object similar to that of a treatise on poisons. Did it never occur to Mr. Lewis, that Mr. Mill's meaning might be, not that a people are corrupted by the amount of the wealth which they possess in the aggregate, but that the inequalities in the distribution of it have a tendency to corrupt those who obtain the large masses, especially when these come to them by descent, and not by merit, or any kind of exertion employed in earning them? To add one instance more, Mr. Lewis falls foul of the often quoted sentence of Tacitus, «that the most degenerate states have the greatest number of laws; in corruptissima republica plurimae leges; a position not only not true, but the very reverse of the truth, as the effect of the progress of civilization is to multiply enactments, in order to suit the extended relations, and the more refined and diversified forms of property, introduced by the improvement of society." Mr. Lewis is a scholar, and understands the words of Tacitus, but, in this case, it is clear, he has not understood the ideas. He has committed what he himself would call an ignoratio elenchi. By a corrupt society, Tacitus (we will take upon ourselves to assert) did not mean a rude society. The author was speaking of the decline of a nation's morality, and the critic talks to you of the improvement of its industry. Tacitus meant, that, in the most immoral society, there is the most frequent occasion for the interposition of the legislator; and we venture to agree with him, thinking it very clear, that the less you are able to rely upon conscience and opinion, the more you are obliged to do by means of the law- a truth which is not only not the opposite of Mr. Lewis's position, but stands in no logical relation to it at all, more than to the binomial theorem. These are the blemishes of Mr. Lewis's work. Yet they do not induce us to qualify our high opinion, both of the book and of its author. It is an able, and a useful publication; only, it is not a sufficient dissertation on the use and abuse of the leading political terms. We have often thought, that a really philosophical Treatise on the Ambiguities of the Moral Sciences would be one of the most valuable scientific contributions which a man of first-rate intellectual ability could confer upon his age, and upon posterity. But it would not be so much a book of criticism as of inquiry. Its main end would be, not to set people right in their use of words, which you never can be qualified to do, so long as their thoughts, on the subject treated of, are in any way different from yours; but to get at their thoughts through their words, and to see what sort of a view of truth can be got, by looking at it in their way. It would then be seen, how multifarious are the properties and distinctions to be marked, and how few the words to mark them with, so that one word is sometimes all we have to denote a dozen different ideas, and that men go wrong less often than Mr. Lewis supposes, from using a word in many senses, but more frequently from using it only in one, the distinctions which it serves to mark in its other acceptations not being adverted to at all. Such a book would enable all kinds of thinkers, who are now at daggers-drawn, because they are speaking different dialects and know it not, to understand one another, and to perceive that, with the proper explanations, their doctrines are reconcilable; and would unite all the exclusive and one-sided systems, so long the bane of true philosophy, by placing before each man a more comprehensive view, in which the whole of what is affirmative in his own view would be included. This is the larger and nobler design which Mr. Lewis should set before himself, and which, we believe, his abilities to be equal to, did he but feel that this is the only task worthy of them. He might thus contribute a large part to what is probably destined to be the great philosophical achievement of the era, of which many signs already announce the commencement; viz. to unite all half-truths, which have been fighting against one another ever since the creation, and blend them in one harmonious whole. • Use and Abuse of Political Terms. By George Cornwall Lewis, Esq. Student of Christ Church, Oxford.—London : Fellowes, 1833. + The greatest English poet of our own times lays no claim to this glorious independence of any obligation to pay regard to the laws of thought. Those whom Mr. Wordsworth honours with his acquaintance, know it to be one of his favourite opinions, that want of proper intellectual culture, much more than the rarity of genius, is the cause why there are so few true poets; the foundation of poetry, as of all other productions of man's reason, being logic. By logic, he does not mean syllogisms in and figure, but justness of thought and precision of language ; and, above all, knowing accurately your own meaning. While we are on this subject, we must be permitted to express our regret, that a meet who has meditated as profoundly on the theory of his art, as he has showed assiduously in its practice, should have put forth nothing which earn convey any adequate notion to posterity of his merits in this department; and that philosophical speculations on the subject of poetry, with which it would be folly to compare any others existing in our language, have profited only to a few private friends. 1 Mr. Lewis has very properly, in our opinion, spared himself the ostentation candour of mentioning the authors to whom he was indebted, obey being mostly writers of established ten of established reputation. Such studious honesty in disclaiming any private right to truths which are the common property of mankind, generally implies either that the author cares, and expects the reader to care, more about the ownership of an idea than about is Value; or else that he designs to pass himself off as the first promulgator of every thought which he does not expressly assign to the true discoverer. This in one of the thousand forms of that commonest of egotisms, egotism under a shew of modesty. The only obligations which Mr. Lewis with a just discrimination stops to acknowledge, are to a philosopher who is not yet so well known as he deserves to be, Mr. Austin, Professor of Jurisprudence in the University of London. When the sovereign power commands its subjects to do or forbear from certain acts, the claim1 for such performances or forbearances which one person thereby has upon another, is called a right; the liability to such performances or forbearances is called a duty; and the omission of an act commanded to be done, or the doing of an act commanded to be forborne, is called a wrong. All rights, therefore, must be subsequent to the establishment of government, and are the creatures of the sovereign power; no claim upon another, which may not be enforced by process of law, i.e. by calling in the assistance of the sovereign, however recommended by moral justice, can, without an abuse of language, be termed a right. The existence of a moral claim may often be a matter of doubt when the facts are ascertained, and one party may demand what the other may not think himself bound in conscience to yield; but, the facts being given, the existence of a right, or a legal claim, can never admit of dispute, as it is defined and conferred by a third party, who will, if required, step in to enforce it. Properly, therefore, right signifies a claim conferred or sanctioned by the sovereign power, i.e. a legal right. Sometimes, however, it is used to mean a claim recommended by the practice, analogy, or doctrines of the constitution, i.e. a constitutional right; and, sometimes, a claim recommended by views of justice or public policy, i.e. a moral right. By the first and proper sense is meant a claim which may be enforced in a court of law, or by the proper authorities, and which actually exists: by the two last a claim which cannot be enforced by any public authority, and which does not exist. Thus, in the first sense, it is said that a man has a right to his own property, reputation, &c., meaning that he has an available claim which can be enforced by process of law. It is also said that, constitutionally, every British subject who pays taxes has a right to vote for a member of the House of Commons; meaning that such a claim is supported by the practice or doctrines of our constitution. It is also said that all the people have a right to be represented; that they have a right to choose their own governors, to cashier their governors for misconduct, and to frame a government for themselves; that the poor have a right to be maintained by the rich; that the poor have a right to spoil the land-owners, and divide their lands; that the poor have a right to spoil the rich, and divide their property, &c. In the latter cases, the persons who use these expressions mean that, in their opinion, there is a claim founded in justice and expediency, which they call a right; though, in truth, what they mean to express is, that it ought, by the sanction of the legislature, to be made a right. Burke's explanation of rights, in fact, amounts to no more than that last stated, though he appears to have intended something very different; as his definition is perfectly consistent with the doctrines which he is professedly combating, and which he held in utter abhorrence. The following passage from his work on the French Revolution2, is in answer to those who maintained the doctrine of the natural rights of men. 'The pretended rights of these theorists are all extremes; and, in proportion as they are metaphysically true, they are morally and politically false. The rights of men are in a sort of middle, incapable of definition, but not impossible to be discerned. The rights of men in governments are their advantages; and these are often in balances between differences of good; in compromises sometimes between good and evil, and sometimes, between evil and evil.' If this doctrine were admitted, a man would have a right to everything which might appear advantageous to him, and private opinion would be the only rule of law3. No objection, even on the score of inconvenience, can be made to the use of an equivocal word when its different senses are plain and palpable; as, for example, the word light, which sometimes means the contrary of heavy, sometimes the contrary of dark; or the word duty, which sometimes means a legal or moral obligation, sometimes a tax on a commodity. By such ambiguous terms as these, no one could be misled. But when the two significations lie on each other's confines, the one being perhaps a metaphorical or derivative use of the same word, there is great difficulty in marking the boundaries which the ambiguity always tends to confound; though the distinction is the more important, because, even if the names were different, such near neighbours would be likely to encroach on each other's territories. In the present case, the confusion of legal and moral rules, to which, at all times, mankind are sufficiently prone, is heightened by an additional meaning of the word in question. Right is sometimes a substantive, sometimes an adjective. When used as a substantive, it properly signifies a legal claim, and answers to duty. Where the law confers a right on one person, it creates a corresponding duty in another. Wrong, the substantive, signifies the violation of a right. But, when used as an adjective, right expresses agreement with the standard of morality (whatever that may be), and is opposed to wrong, the adjective, that which disagrees with this standard. Thus a right may be right or wrong (i.e. a claim given by law may be just or unjust, politic or impolitic) in the judgement of different persons. The necessity of a legislative sovereignty, or of a power of altering old and enacting new laws, is entirely founded on the supposition that rights may be wrong—a truism which has sometimes been treated as a paradox and an antithesis. If the different senses of right, just pointed out, really coincided ; that is, if all claims founded on justice and sound policy were legal rights, and all legal rights were founded on justice and sound policy, there would be no necessity for deliberative assemblies or legislative enactments, and the whole business of government might be confined to the administration of existing laws. In this country a mistaken notion as to the rights of subjects has arisen, from confounding the powers of the King and those of the Parliament. The people have rights as against the King; and hence it is correct to say that Charles the First and James the Second violated the rights of their subjects: without having the legislative sovereignty, they commanded acts to be done which were contrary to law. But the people have no rights as against the Parliament, or the whole sovereign body; and hence such expressions as the Parliament withholding or refusing the rights of the people, are not only unmeaning and absurd, but also mischievous, as they tend to encourage the idea that members of that body are legally, as well as morally, answerable for their acts. Before the word 'right' is dismissed, it may be useful to notice some of the epithets applied to it; the number, variety, and discordancy of which are almost past belief: though,' when they come to be examined, most of them will be found to be either unmeaning or inapplicable. The following passage occurs, as spoken by Dr. Johnson, in a conversation preserved by Boswell19: 'Every man has a right to liberty of conscience, and with that the magistrate cannot interfere. People confound liberty of thinking with liberty of talking; nay, with "liberty of preaching. Every man has a physical right to think as he pleases; for it cannot be discovered how he thinks. He has not a moral right, for he ought to inform himself, and think justly.' Here 'physical right' must mean power; 'moral right' appears to mean 'legal right,' for Johnson never could have intended to say that a man is, in conscience, bound to conceal opinions which he thinks true: the doubt would rather be the other way, whether a man is justified in concealing what he thinks true. On another occasion he said that 'there seems to be in authors a stronger right of property than that by occupancy; a metaphysical right, a right, as it were, of creation, which should, from its nature, be perpetual20.' This expression is manifestly founded on the erroneous supposition, that a right to a tangible is more corporeal than a right to an intangible object; but elsewhere he uses a more common epithet, when, speaking of government, he says that 'if the abuse be enormous, Nature will rise up, and, claiming her original rights, overturn a corrupt political system21.' It is, however, a contradiction to speak of original rights, if by original is meant anterior to government; for, as has been shown above, the notion that 'right is altogether an abstract thing, which is independent of human laws and institutions22,' is not only not true, but is the direct contrary of the truth. The verse of .Dryden, in the Wife of Bath's Tale, that 'Sovereign monarchs are the source of right,' expresses the truth, but not the whole truth; as not only sovereign monarchs, but all sovereign legislatures, whether of one or many, are, and are alone, the sources from which all rights flow. Yet we hear of original rights, natural rights, indefeasible rights, inalienable rights, imprescriptible rights, hereditary rights, indestructible rights, inherent rights, &c., where there is no pretence of legislative sanction: indeed the only object of using these names is to induce the legislature to convert these supposed rights into real rights, by giving them the sanction of law. The phrase, natural right, takes its origin from the doctrine of a state of nature, which will be more fully explained below23- It appears to signify a claim recommended by natural law, or by those rules which were recognized by common consent, when mankind were in a state of nature, An indefeasible right-is a right which man enjoyed in a state of nature, and which he only surrendered conditionally at the making of the social compact; so that nothing has since been able to defeat or destroy it, and it is ready to be revived at any time. An imprescriptible right is a right which was prior to the social compact, and which continues to exist without being subject to prescription or failure by lapse of time. An inalienable right is a right which cannot be alienated from a man. Indestructible rights, inherent rights, hereditary rights, birth rights of liberty, &c., appear to have nearly the same meaning; viz. that they are dormant rights, never exercised by the possessors, and not extinguishable by any law. In fact, however, these imprescriptible, inalienable, indefeasible, rights, in most cases never have been rights, or, if they have, long since were alienated and defeated by the sovereign power. These various expressions have all taken their origin from the theory of the state of nature and the social compact; but they are frequently used by persons who have never heard of this absurd and mischievous doctrine, and would perhaps reject it if they knew it. All that those persons mean is, that, in their opinion, the claims which they call rights ought, in sound policy, to be sanctioned by law. It is the duty of such persons to show that sound policy requires what they require; but as this would require a process of reasoning, and as reasoning is often both hard to invent and to understand, they prefer begging the question at issue by employing some of the high-sounding phrases just mentioned. Rights are, moreover, divided into political or civil rights, and private rights: the meaning of which division will be explained elsewhere24. 'Vested rights'25 is another expression which has been much used of late years. In its legal sense, 'vested' is opposed to 'contingent,' and expresses a right of which the next possessor is ascertained, whenever the prior right to the same object may determine; as opposed to a right of which the next possessor is not so ascertained26. But its political sense (with which alone we are now concerned) is widely different from its legal acceptation, and appears to have no connexion with it whatever27. When a legislature passes a law, not for any temporary purposes, nor limited as to the time of its operation, and which therefore may be reasonably expected to be permanent—and persons, confiding in its permanency, embark their capital, bestow their labour, or shape the course of their life, so that their only hope of success is founded on the existence of the law—the rights which they have acquired in the reliance upon its continuance are termed 'vested rights'; and persons in this situation are considered as having a moral claim on the legislature for the maintenance of the law, or at least for the allowance of a sufficient time to withdraw their investments, and to take the measures necessary for guarding against the loss consequent on so large a change. When duties are imposed for the purpose of excluding a cheap foreign commodity, in order to enable it to be produced at a higher price at home, the persons who carry into effect the intentions of the legislature, by engaging in the favoured manufacture, are considered as having a vested right in their undertakings, and possessing a claim to notice of a reasonable length, before the duties are removed; for although their profit is not larger than it would have been in any other unprotected branch of trade, and although the public lose the difference between the prices of the foreign and native commodity; yet having, in consequence of the encouragement of the legislature, once engaged in the protected trade, they cannot, at a moment's warning, withdraw their capital and invest it elsewhere, without incurring a certain loss. In consequence of the high duties on French, Portuguese, and Spanish wines, many persons were induced to invest their capital in the making of wine at the Cape of Good Hope. They produced an inferior commodity at a higher price: but when it was proposed to equalize the import duties on wines, it was allowed that the vested rights of these persons ought to be respected, and that they were fairly entitled to have a sufficient time to engage in new speculations. All preferences given to particular classes of traders create vested rights of this description; and it is for this reason that, although the existence of such preferences is an unmixed evil, their abolition is very far from being an unmixed good. A vested right may therefore be described as a right of investment28; giving to its possessor a moral claim upon the legislature, for the permanency or tardy abolition of a law, which he has gained by employing his capital or labour in adventures only compatible with the existence of the law. Being founded on the principle of not disappointing expectations, it is founded on a principle of the wisest and most enlarged policy; but the doctrine of vested rights must not be stretched too far, as there is scarcely a right on which some expectations are not founded, and which does not, in some degree, serve as a guide of conduct: it can only be admitted where the loss would be great, and the probability of the law being repealed or modified was inconsiderable. Of vested rights, that on which the greatest number of calculations and expectations is founded, and which, in most states, offers the fairest hope of permanency, is the right of property. There is scarcely a step in a man's life, if it has any prospective view, which is not taken in reference to his property. His bodily and mental habits, his connexions, whether of friendship or marriage, are all formed with reference to the rank of society in which his property places him. A man is brought up by his parents, and insensibly adapts himself, to the situation - which he is likely to fill, A poor man suddenly made rich is not more likely to be happy, and is much less likely to do good to others, than a rich man suddenly made poor29. There is no change in the condition of human life, except the change from freedom to slavery or imprisonment—no deprivation of rank, honours, dignity, political power, military power, or sovereign dominion—which blights so many prospects, which chills so many hopes, which brings such bitter disappointments, and such painful humiliations30, which offers such violence to a man's familiar habits and thoughts, and forces him into courses for which he is so little fitted, as the change from affluence to beggary. The interruption of this right takes a man from a station 'where he is contented,, and which he is fitted to fill, to put him in a station where he will be discontented and dangerous, and which he is not fitted to fill, The effect on the person who is supposed to be benefited by his loss, need not be considered; as, at times when this right is interrupted, the resistance is usually so great, that although the plundered are impoverished, the plunderers are seldom enriched. It is for these, among many other reasons, that the right of property is one of those vested rights which should be most sparingly and tenderly interfered with by a wise legislature; but, like all other rights, it is the mere creature of the sovereign power, which can at any moment destroy what it created: and to deny the power of the legislature to dispose of it at pleasure, is to confound expediency and justice with fact, and to conclude that what ought not to be done, cannot be done. Wrongful and rightful are the adjectives of wrong and right the substantives; and differ from wrong and right the adjectives, inasmuch as the former signify that which agrees or disagrees with the rule of law, the latter that which agrees or disagrees with the rule of morality. 1 There does not appear to be any reason why claim or requisition should not be considered as the genus of rights; though Mr. Bentham (Principles of Morals and Legislation [224 n. in the Clarendon Press edition]) says, that right has no superior genus. 2 Reflections on the Revolution in France, ed. 1792, p. 94. 4 Jus means a right, the substantive ; honestus' or rectus, right, the adjective. On the other hand, the Latin language has an ambiguity of jus, from which the English is free, viz. that it means both law and right, an ambiguity which has led Blackstone into the most fearful errors.—See Mill's British India, vol. i. p. 195; and Austin's admirable Outline of a Course of Lectures on Jurisprudence in the London University, p. 48. (London, 1831.) The French droit, and the German recht, have the ambiguities both of the Latin and English words, for they signify lex, jus, and rectus. Ambiguities of words are often brought out in translation ; for instance, lingua in Latin and Italian, in English is sometimes rendered by tongue, sometimes by language. The most perplexing ambiguities, however, run through all the commonly known languages of civilized nations. It may be remarked as a singular circumstance, that the Greek language should possess no term for right, or jus. The treatise of Aristotle entitled δικαιώματα πόλεων appears to have heen upon the rights, or privileges, of different states (see Neumann, Aristotelis πολιτειών fragments,, p. 43): but the word δικαίωμα never came into general use in the sense of jus. Sir J. Mackintosh, misled by a false reading Πολέμων for πόλεων, represents this as a treatise on the laws of war.—On-the Law of Nature and Nations, p. 16. 5 I Com. 44. Introd. § 2. 7 It is however obvious, that he uses right and wrong in the former sense, as he quotes the words of Cicero, repeated by Bracton, that a law is ' sanctio justa, jubens honesta, et prohibens contraria. '—1 Com. 122. 9 Crabb's English Synonyms, in Right. 10 Mr. Bentham, in ins Principles of Morals and Legislation [p. 323, Clarendon Press edition], points out an ambiguity of the English word law, which signifies both a single law, and the whole body of laws, or (as we say) the law ; and appears to lament that we have not, like the Germans, appropriated the word right to the entire corpus juris, i.e. to law in its collective sense. Doubtless it would be desirable to have two different words to express the two ideas distinguished by Mr. Bentham; but it cannot be wished that any additional burden should be laid on the term right, which has already a sufficient weight of meanings to sustain. 11 Whately's Sermon on Obedience to Rulers [in Bamplon Lectures, &c, third edition, p. 295]. 15 I Com. 244. Boswell, in his Life of Johnson [ed. Birkbeck Hill, i. 423], reports a conversation on this point, between Goldsmith and Johnson. Goldsmith argued, that 'as the King might, in the exercise of his regal power, command and cause the doing of what was wrong, it certainly might be said, in sense and in reason, that he could do wrong.' (This is what the logicians call an ignoratio elenchi; the question was, whether the King could do a wrong.) Johnson in answer, among other things, said, 'We hold the King can do no wrong, that whatever may happen to be wrong in government may not be above our reach by being ascribed to majesty. Redress is always to be had against oppression by punishing the immediate agents. The King, though he should command, cannot force a judge to condemn a man unjustly; therefore it is the judge whom we prosecute and punish.' Johnson's sentiments are quite accurate; -though he too falls into the common errors of confounding wrong, an injury, with wrong, improper. 17 'The Attorney-General, in his speech in Hardy's trial, cites a passage from an American work communicated to an English political society, where it is said, that 'in government, the maxim being that a King can do no wrong, the maxim ought to be that he can do no good. '—See Erskine's Speeches, vol. iii. p. 199. If the author of this passage had understood the maxim which he objects to, so far from thinking that his remark was pointed and antithetical, he would have seen that it is absolutely unmeaning. Mr. Hallam, in his History of the Middle Ages, vol. ii. p. 243, 4to ed., says, that 'In the prudent fiction of the English law, no wrong is supposed to proceed from the source of right.' This statement is not correct; it is not a legal fiction, bnt a plain truth, that the King can do no wrong. It is another maxim of English law, that there is no wrong without its remedy: and against the acts of the King, no remedy is, or can be, provided by law. 20 [Ibid. ii. 259.] Burke, in his Reflections on the French Revolution, also speaks of metaphysical rights; where, by metaphysical, he appeals to mean imaginary, or unreal. 22 Crabb's English Synonyins, in Right. 23 In the word Nature. 24 In the word Political. 25 This passage is noticed and commented upon by Austin, in his fifty-third lecture. Quam qnod ridicnlos homines facit.'—iii. 152. Men are not ridiculous simply by being poor; it is when they become poor, that the shifts and expedients to which they are driven, in order to conceal their poverty and keep up a semblance of their former wealth, too frequently make them ridiculous.